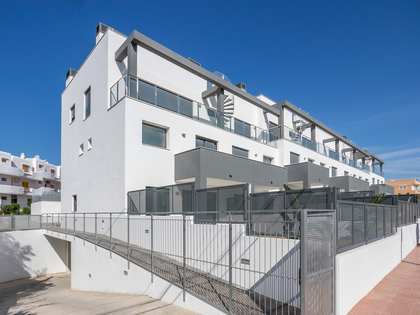 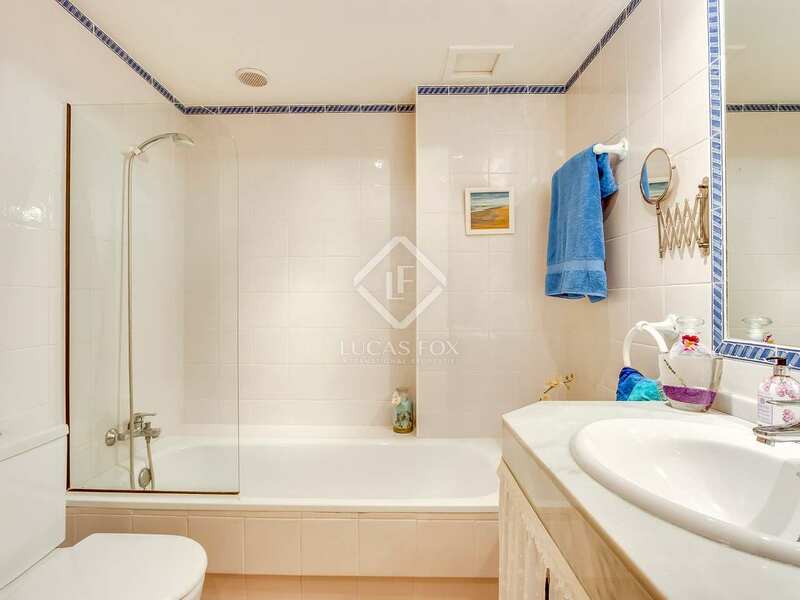 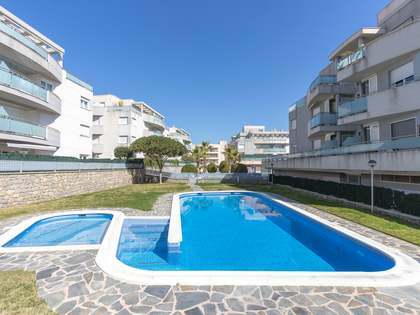 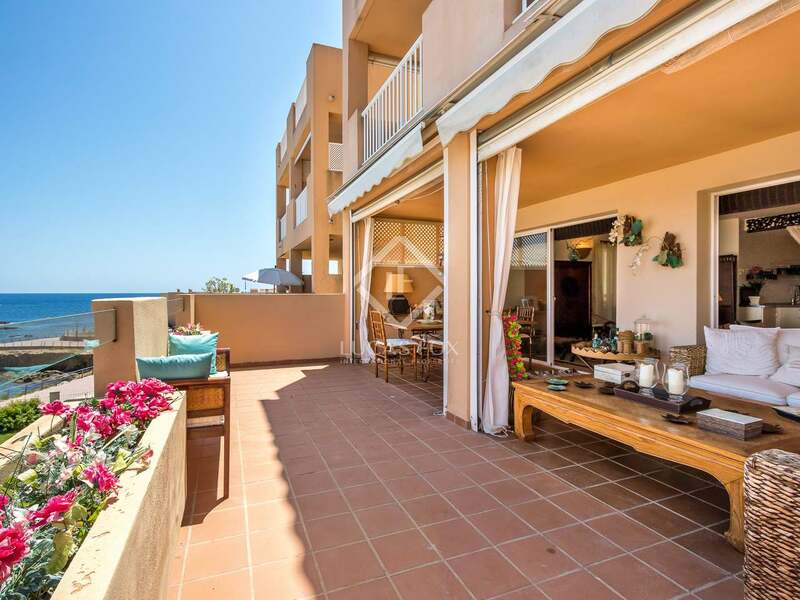 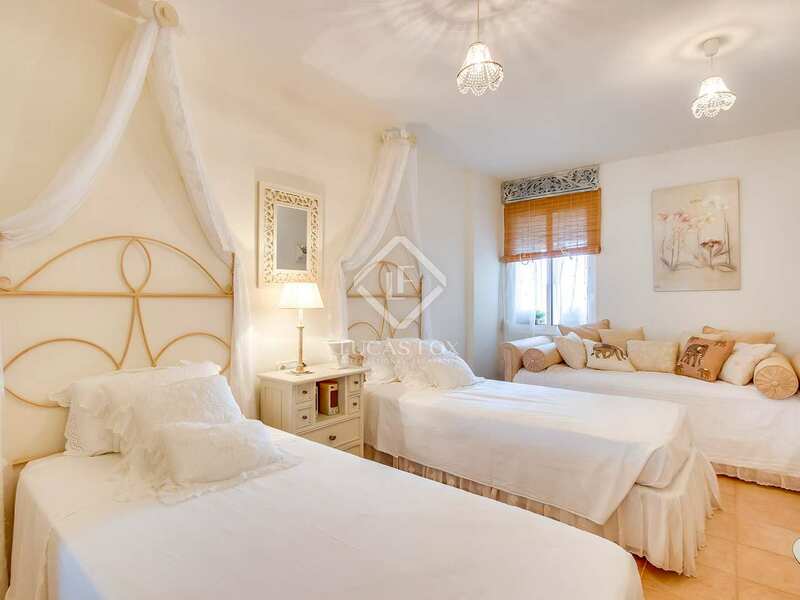 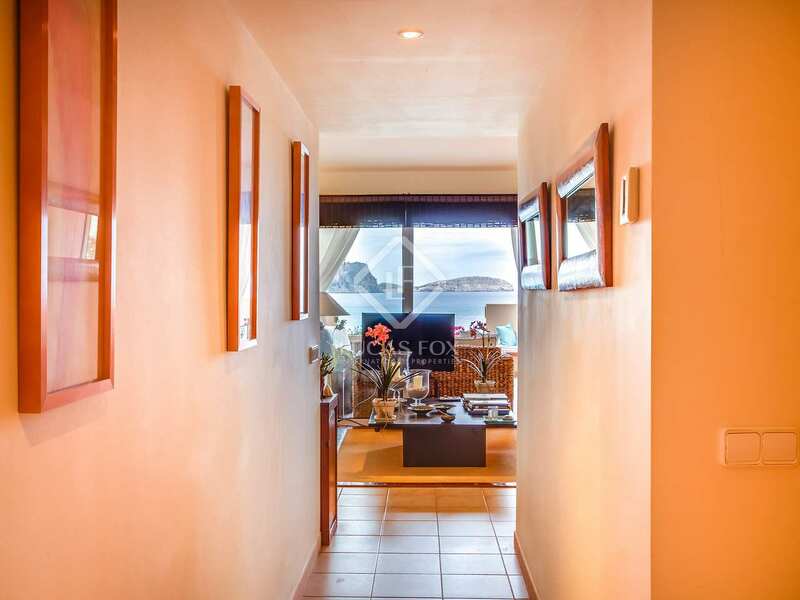 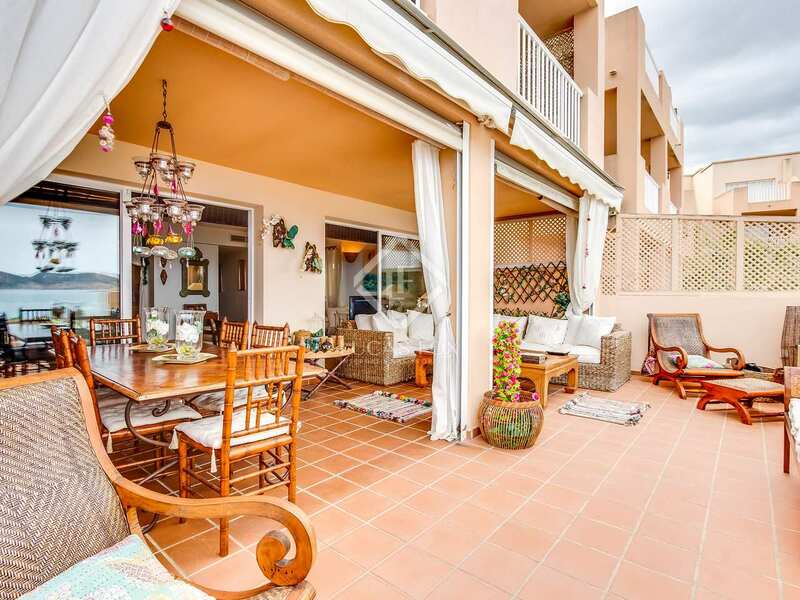 Beautiful bright, east facing apartment of 95 m² with a 37 m² terrace for sale on the second floor of a well maintained building in Santa Eulalia with a lift and a communal pool, in Es Canar, right on the seafront promenade with no street noise at all. 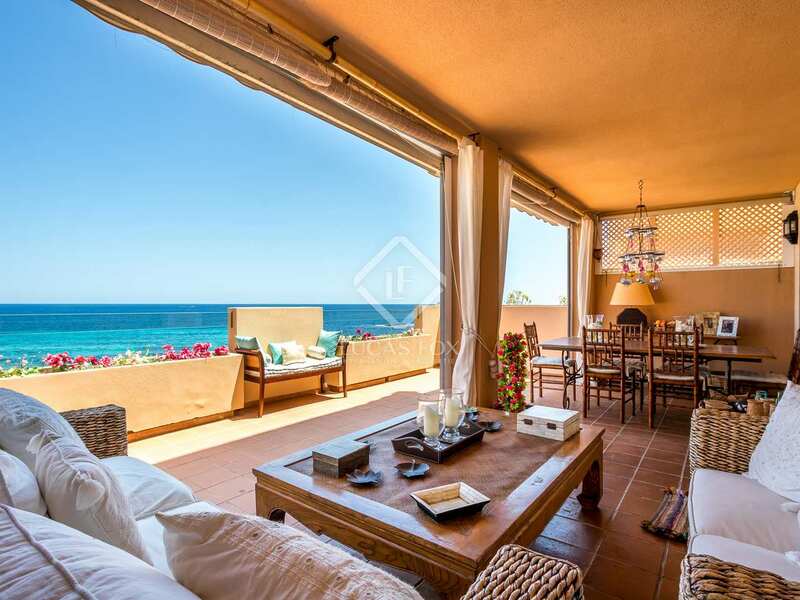 On entering the apartment we immediately see the sea views which can be enjoyed from almost every room, providing light and a wonderful sea breeze. 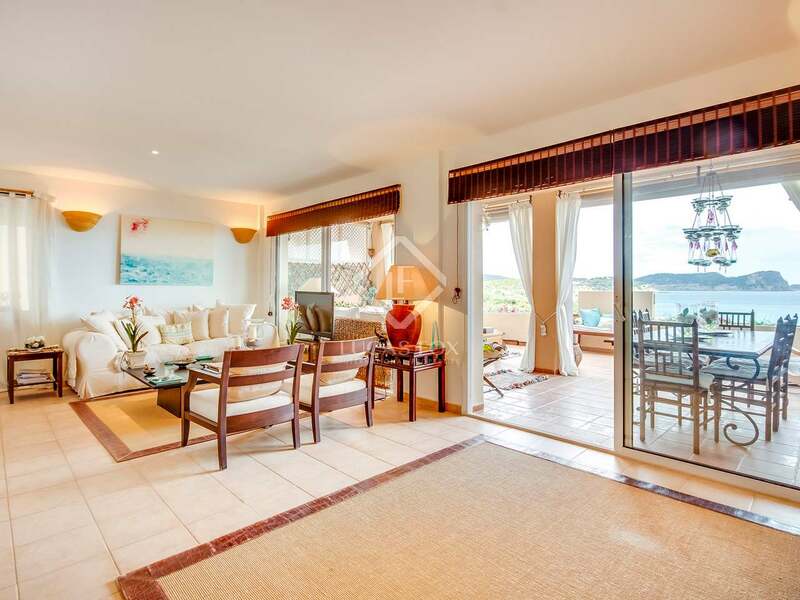 On passing through the entrance hall, with its alarm system, we find 1 large bedroom to the left with a built-in wardrobe and a second hall to the right leading to a complete bathroom and the master bedroom with its sea views, ensuite bathroom with a bath and double sink and a built-in wardrobe. 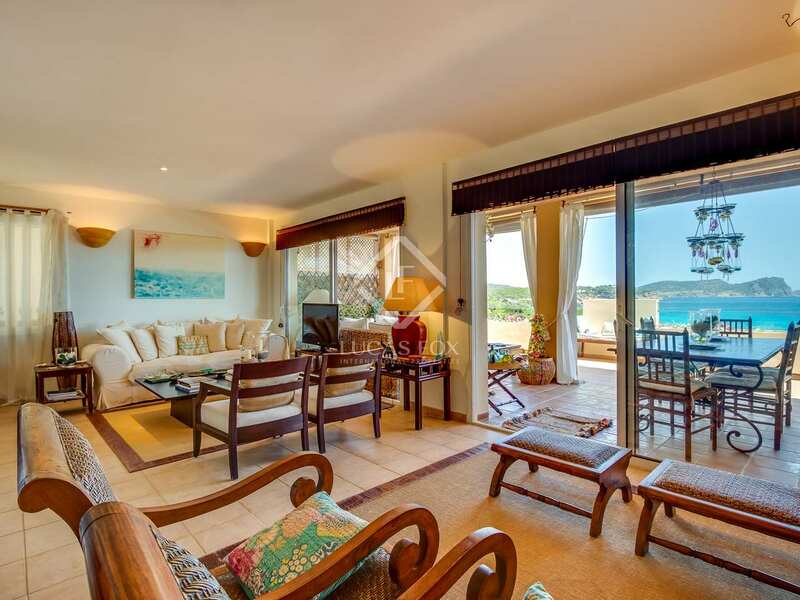 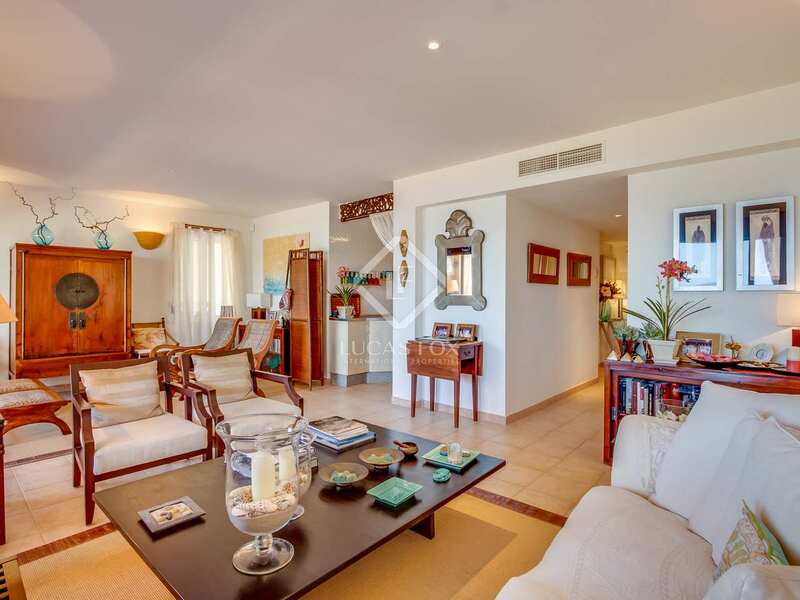 Straight ahead is the spacious living room with very grand bay windows that can be opened up to access the wonderful 37 m² sea view terrace which enjoys plenty of privacy and the morning sunshine. Fitted with an awning, a seating area, dining area and sun loungers, this is the ideal outdoor space. 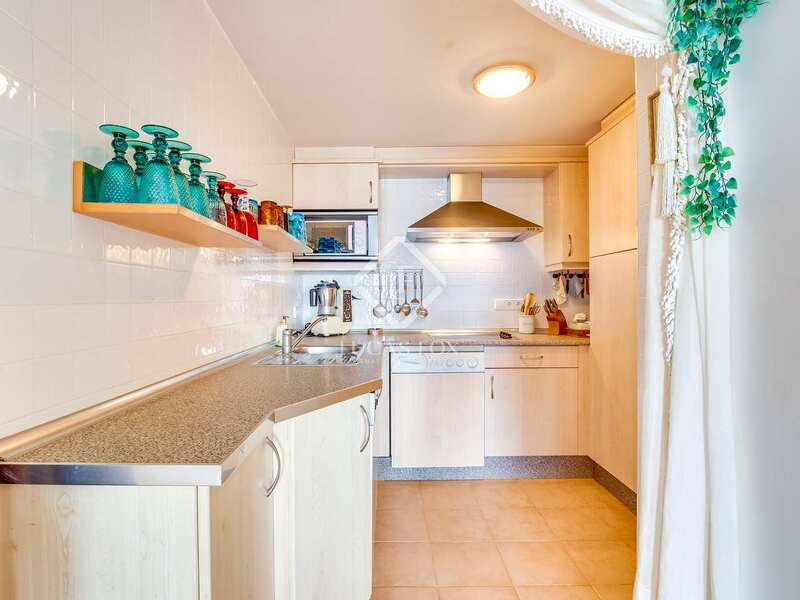 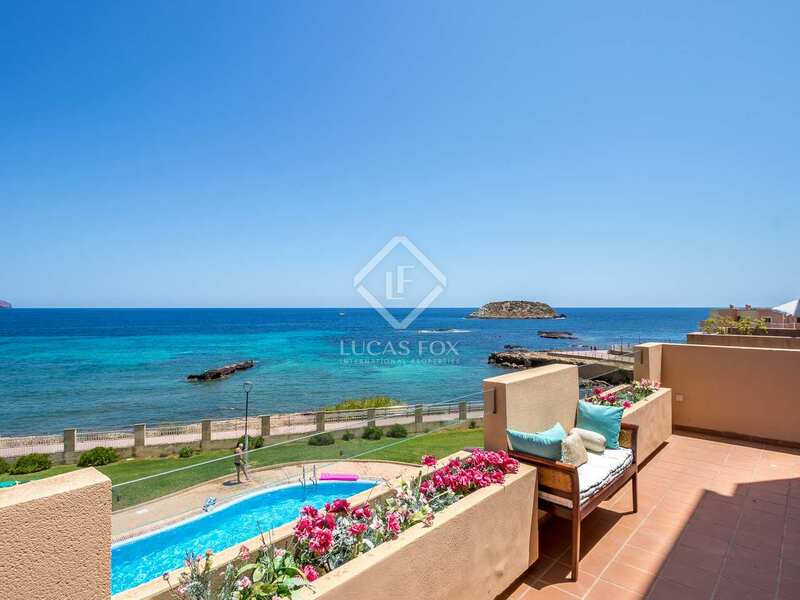 The open plan kitchen comes fully equipped with a microwave, electric cooker, fridge, dishwasher, washing machine and dryer, also with sea views. The property benefits from hot and cold air conditioning. 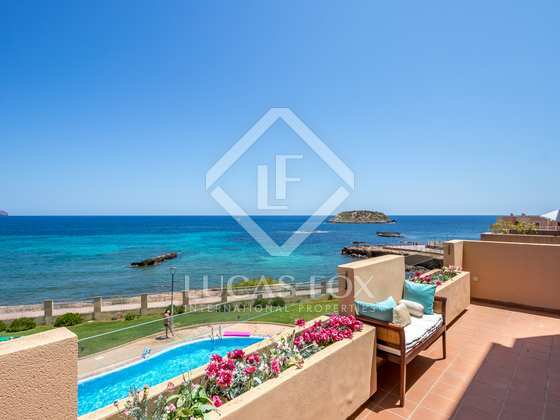 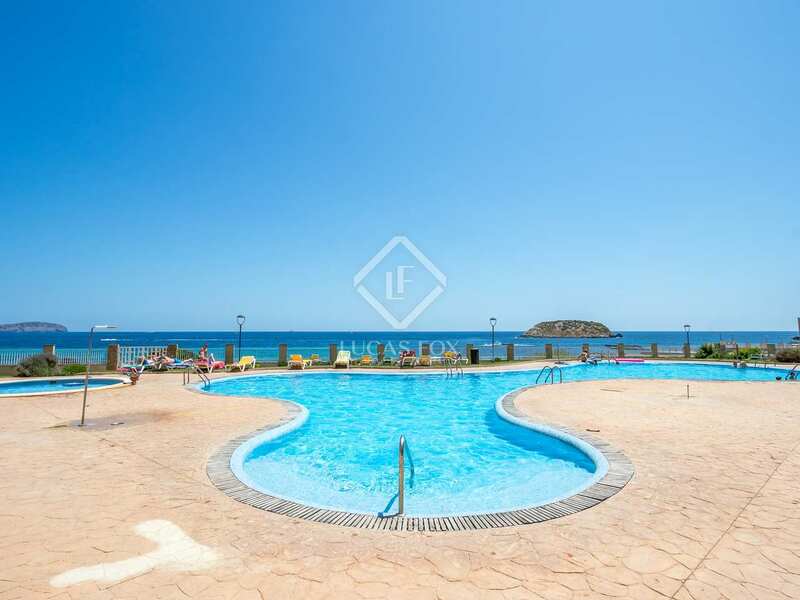 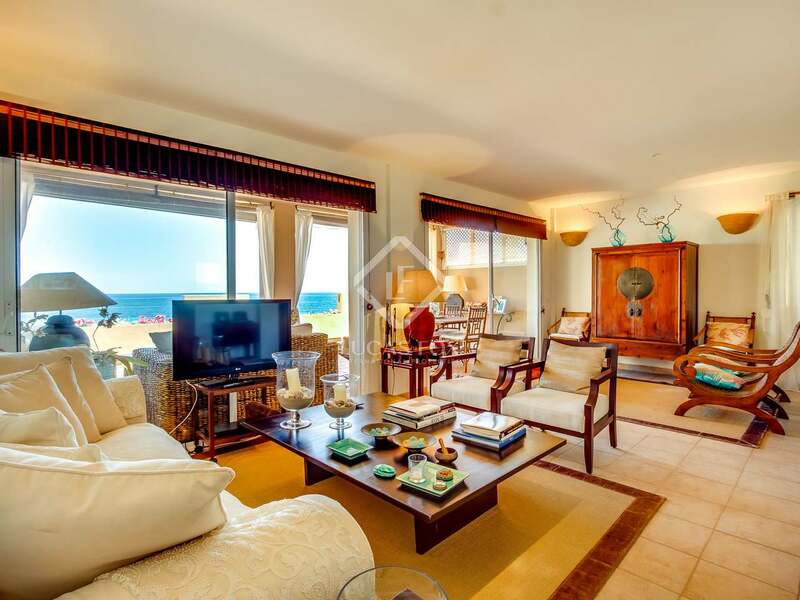 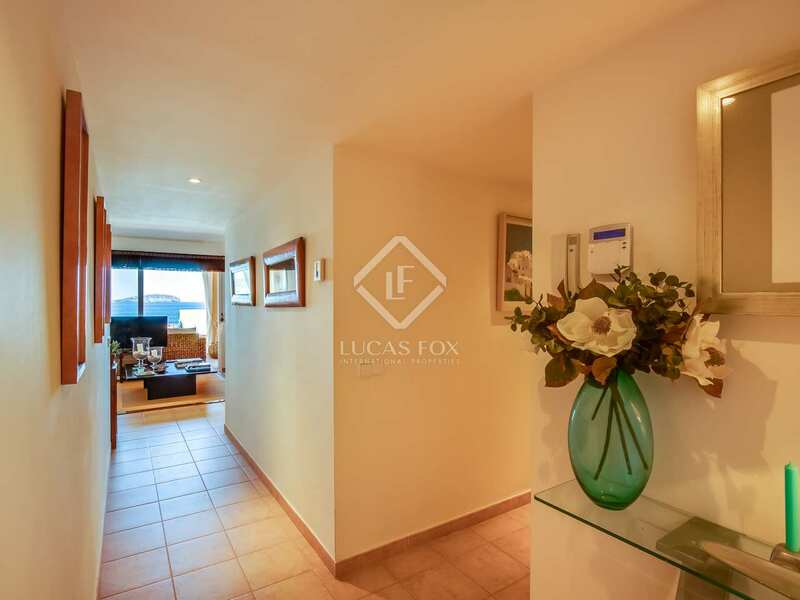 A great apartment with a spacious terrace, wonderful sea views and an enviable beachfront location. 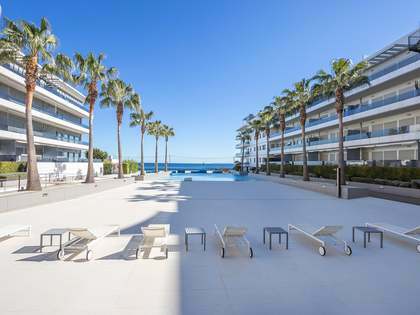 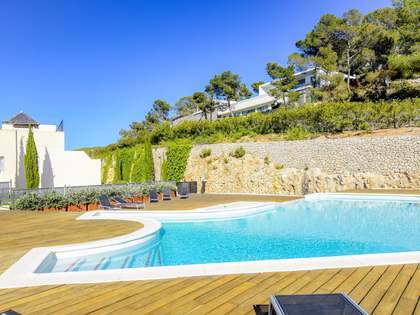 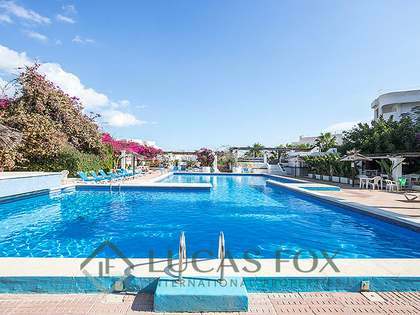 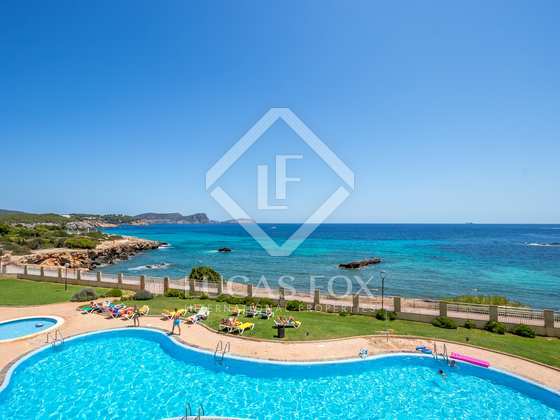 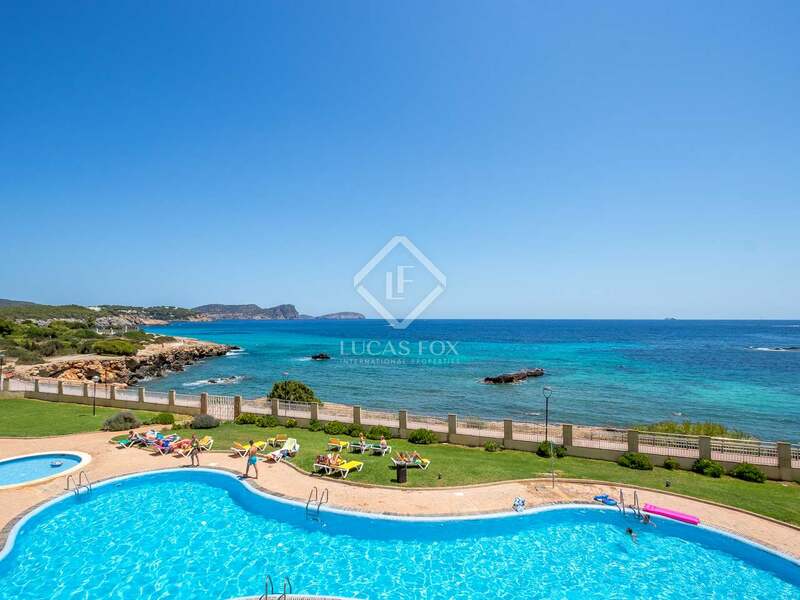 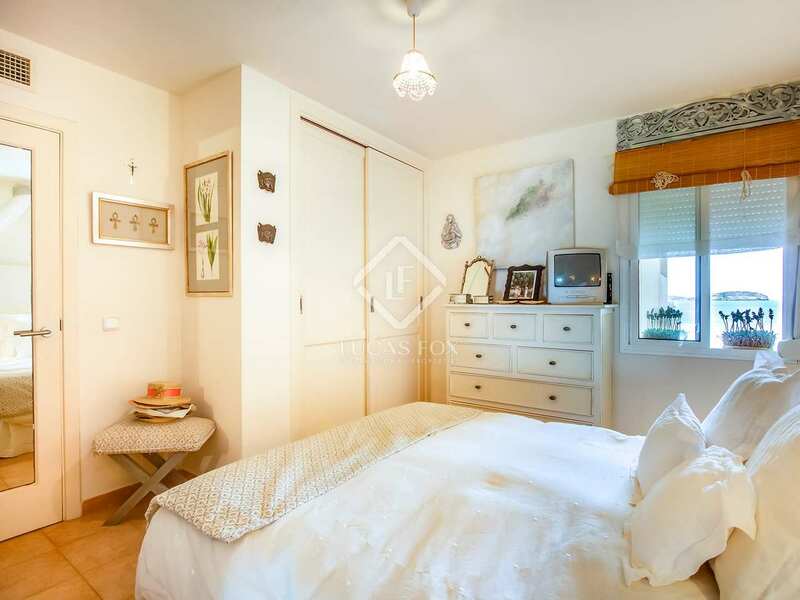 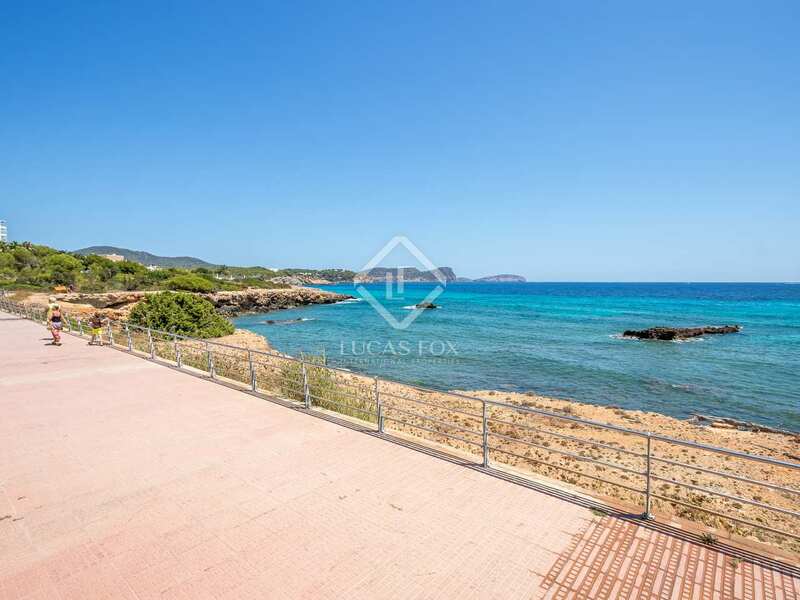 This property is located in Canar, Santa Eulalia, right on the seafront promenade, close to Atzaro beach - Cala Nova, in a wonderful family friendly area.